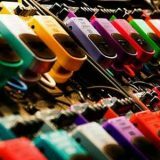 There are a lot of different types of cables and connectors out there you may come across at some point as a guitarist. Knowing the difference between unbalanced and balanced audio cables or how to tell a mini-USB from a micro-USB can save you a lot of headaches. Understanding how different types of cables work and when they’re used will make sure you don’t end up with poor audio quality or ruining gear. Before we dive into the wide range of cables you may come across, it’s really helpful to first cover some audio cable terms. While these may be boring to learn, it really helps if you know this stuff. Even if you think you know these terms, have a quick read through to make sure you haven’t missed anything important. Some cables you will use will be analog and some will be digital. It’s important to understand the difference between analog and digital. An important difference to understand between analog and digital is how the cables are affected by outside interference. Because analog cables transmit the signal in a stream of electricity, they’re highly sensitive to outside interference. This can result in a hum, static or buzzing in your tone. 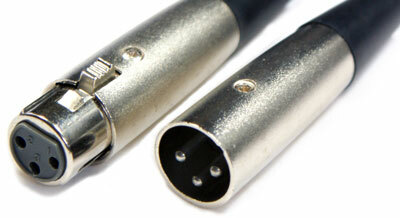 High quality analog cables with proper shielding are important to protect your signal from interference. Digital cables are far less impacted by outside interference as it takes a lot of interference for a 1 to be mistaken as a 0. As an example, a big myth in the home entertainment market is that high end HDMI cables produce better quality images on your TV. The truth is a $3 cable will produce identical results as a $150 cable. When it comes to digital, the quality of the cable isn’t anywhere as important as it is with analog. Key point to remember: spending more money on high end analog cables is worth it. Spending more money on high end digital cables isn’t worth it. If analog cables are so susceptible to signal interference, how do we deal with that? The answer lies in balanced vs unbalanced cables. Without getting into the technical details, the main point to remember is that balanced cables cancel out noise and interference and unbalanced cables don’t. 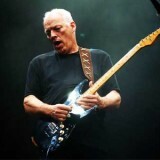 As an example, guitar cables are unbalanced and most microphone cables are balanced. Both are analog. 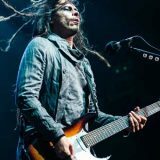 You might be wondering why guitars use unbalanced cables if they are so susceptible to interference. Shouldn’t we use balanced cables instead? Unfortantely it’s not possible due to how pickups work. Unbalanced cables is something we just need to deal with as guitarists. You may notice on audio interfaces there is often an option to choose between mic, instrument or line level input. Understanding the difference will make sure you always choose the right option. Don’t think of ‘Level’ as volume level, try to think of it as ‘signal’ level. What it is really asking is whether the signal is balanced or unbalanced. So if you plug a microphone into an audio interface, while the signal is balanced, it isn’t ‘line’ level yet. The audio interface will boost the signal to bring it to line level. Think of line level as the ideal signal strength. If your interface gives you separate line and instrument inputs, make sure you plug your guitar in the instrument input. It’s pretty easy to see the difference between TRS and TS cables (shown to the right). A TS cable sends a mono unbalanced analog signal. You should recognize TS as a standard guitar cable. So when you see a set of headphones with a TRS cable, you’re getting an unbalanced stereo signal. On the other hand if you see a microphone with a TRS connector, it’s a mono balanced signal (unless it’s a stereo microphone). Let’s start with the cables you’re more likely to use and work our way to less common cables. Even if you’re familiar with some of these cables, have a read through as you might learn something new. As guitar cables are unbalanced, they’re highly susceptible to interference. This means the quality of your cable will impact your tone. The amount of impact it has on your tone depends on the quality of your guitar and amp, pedals and interference. While you don’t have to spend top dollar on cables, it’s a good idea to avoid the cheapest cables you see in bargain bins on eBay. Not only will cheap cables potentially add in noise to your tone, but the connectors aren’t likely to last long. There’s nothing more frustrating than a cable that cuts in and out while you’re playing. In all honesty, I’m sure the cable I’ve listed for ‘low end’ is good enough for most guitarists. Choose whichever you like the look and feel of the most. An option I highly recommend if you have a pedalboard is to buy a kit such as the Lava Tightrope Solder-free Kit and make the cables yourself. While this option is more expensive, the benefit is that you can create perfectly sized cables for each pedal. It’s a great way to build a neat and tidy pedalboard. While the quality of a TRS cable isn’t as important as compared to unbalanced cables if you use it as a balanced cable, it’s still a good idea to buy a decent cable that won’t break or degrade over time. 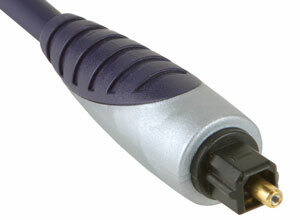 The Hosa HSS-010 is a popular option for TRS cables. These are your typical Smartphone/Headphones audio cables. They use a TRS cable but as you will know by now, produce an unbalanced signal because they’re typically used in stereo. 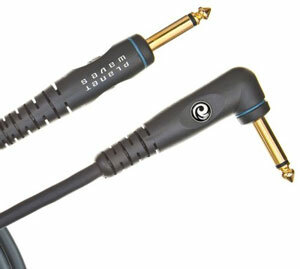 3.5mm cables are significantly cheaper than instrument cables as there’s a much bigger market for them. So it’s pretty easy to find a cable with the right length at a low price. 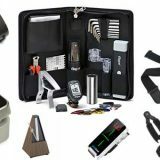 Check out some options here. RCA (stands for Radio Corporation of America) are unbalanced mono cables typically used on audio equipment such as Hi-Fi units, DJ equipment and a lot of older home audio equipment. They were originally intended to replace 1/4″ cables but didn’t quite get there. They’re also called Phono cables, Cinch cables and sometimes just ‘Aux’ cables. It’s possible (like most other cables) to get adapters to change from one type of cable to another. 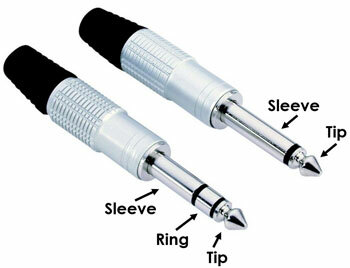 A very common type is a 3.5mm to RCA adapter. These are balanced cables typically used for microphones and other balanced audio equipment such as a mixing desk or studio monitors. They’re often called mic cables or cannon cables. In the above photo, the female connector is shown on the left and male on the right. Guitarists use MIDI (Musical Instrument Digital Interface) for gear such as foot controllers, syncing time-based pedals such as delay pedals as well as controlling studio equipment. MIDI isn’t as common today as USB for many devices, but you’ll often see pedals and gear with MIDI ports. 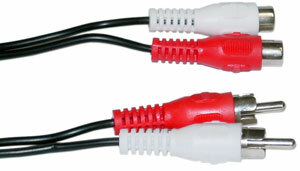 At first glance, a MIDI cable looks similar to an XLR, but MIDI uses 5 pins while XLR uses 3. If you’re familiar with the Roland MIDI pickups such as the GK-3, they use a 13-pin cable. Optical cables transmit digital audio as pulses of light which is completely different to every other cable on this list. While it’s important you’re familiar with most of the audio cables covered above, you’re likely to be using various USB devices as more and more are coming out with USB capability. There are a few types of USB cables and ports so let’s have a quick look at the different types so you can quickly identify them when needed. The Type A USB is the most common you will see on laptops and computers. It’s the largest port so you won’t see them on smaller devices. You can tell the difference between USB 2.0 and USB 3.0 from the color. USB 3.0 uses blue plastic compared to white (or sometimes black) in USB 2.0 (as shown above). Most USB cables with have a Type A connector on one end. The other end could be almost any other type as shown below. Different pedals and devices you buy will have different requirements so it’s handy to have different types handy. These are quite large connectors in a more square shape compared to Type A. They’re often used in large pedalboards. Again you can tell the difference between USB 2.0 and 3.0 from the color. 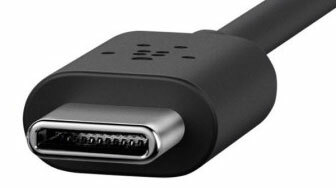 Unlike USB Type A, the shape changes from 2.0 to 3.0 so check the port before buying a cable for a device. A Type B 2.0 connector will work with either a 2.0 or 3.0 port, but not the other way around. If you own a non-Apple smartphone, you’re probably already familiar with Micro-B 2.0. Micro-B is a quite small connector with one side slightly wider than the other. In other words, it isn’t rectangular. Micro-B 3.0 is basically a 2.0 with an extra bit added to the side. I haven’t seen one of these on any guitar product yet and I doubt we’ll see any for a while. Micro-B 2.0 is common on guitar products using mobile devices such as the iRig HD 2 because of the small size of the port. It’s far more common compared to Mini-B so you’re likely to come across it again and again in the future. You may have heard of USB OTG (On-The-Go). They’re used for one device to control another. 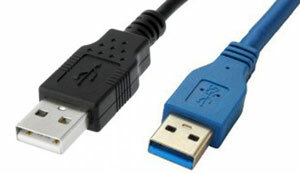 Some IK Multimedia products use OTG cables which are in Micro-B format. Mini-B isn’t as common as Micro-B, but it does pop up from time to time. It’s more common on camera devices than guitar pedals. Mini-B is getting phased out so you should expect to see less and less devices using it as time goes on. At the time of writing, Type C isn’t very common and has only really been used on Apple’s latest MacBook. Over time as more and more devices start using Type C, you will hear more about it. The obvious difference with Type C is the round edges. This means the cable is reversible. Unlike all other USB cables listed above, Type C can be plugged in either way without any hassle. You’re unlikely to see Type C on any guitar gear for quite some time. As there’s a lot of apps and gear built for musicians on Apple products, it’s worth quickly going through the Apple cables. The oldest type is the 30-pin monster on the left above. It’s becoming less common on devices thanks to the newer, smaller and reversible ‘Lightning’ cable shown in the middle which replaced the 30-pin cable. Of course these devices use USB so you’re likely to find either a Type A or micro-B on the other end. Newer Apple products are likely to use USB Type C although it’s likely the Lightning cable will be around for a while. Over time new types of cables will appear and this guide will be updated to include those details. 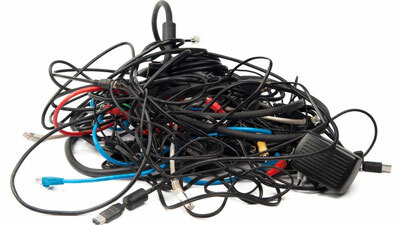 For now, this should cover most of the common cables you’re likely to use as a guitarist. For more helpful guides and resources, subscribe for email updates here.